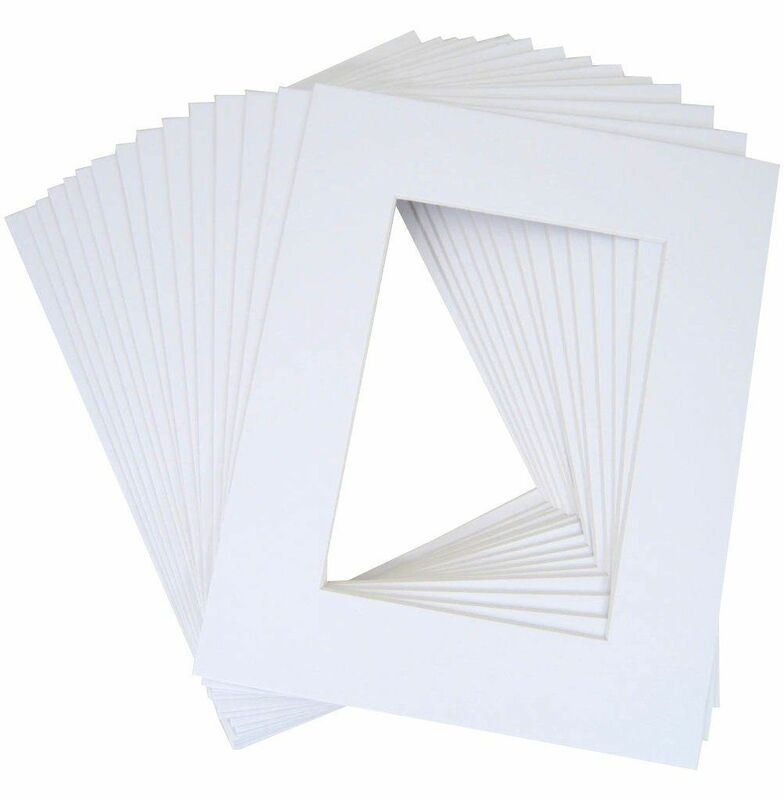 11x14 inch white mat with white core bevel cut for 8x10 inch photos (opening is 7 1/2 by 9 1/2 inches). Mat is about 1/16 inch thick. Backing board NOT included.